Businesses and consumers all over the country depend on industrial plants to do the heavy lifting involved with production and manufacturing. As you can imagine, manufacturing plants produce a large amount of waste that has to go somewhere. Industries have the added challenge of ensuring that their waste doesn’t contaminate the surrounding environment. Here’s a quick look at the types of industrial waste that a waste management company in Atlanta may end up handling. Much of the waste produced or received by industries can be recycled. The trick is to determine exactly which items can be recycled and make sure they make it to the appropriate facilities. For instance, an industrial plant may receive thousands of boxes full of materials necessary for production. Once the contents of those boxes are removed, the boxes themselves can be recycled. Of course, not everything can be recycled. There are many items that will need to be picked up by a waste management company and delivered to a landfill, or else reused in a more creative manner. Working with waste experts to identify the proper disposal methods for certain materials can help ensure that your plant is in compliance with the law. Manufacturing plants are hard at work every day producing products that are shipped around the world. As you can imagine, there are also plenty of byproducts left on the facility floor. Much of the time these byproducts can be collected and reused for other industrial purposes—other times they need to be recycled or otherwise disposed of. Manufacturing millions of units of product can be messy business. Many industries rely on hazardous materials to create their products in a manner that is consistent with consumer expectations. 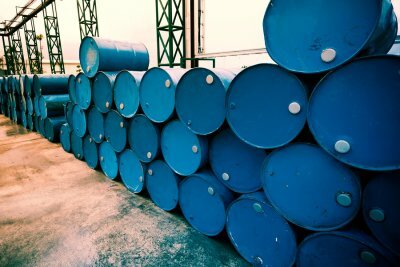 However, these industries are responsible for ensuring that any hazardous materials are disposed of properly, both for the sake of their employees and the surrounding environment. Why Should Your Business Use a Baler? Space is a constant concern among business owners. For many, the availability of space allows for the storage more merchandise, which can translate to higher sales. If your storeroom or warehouse is full of paper, cardboard, and other forms of waste, then you probably don’t have enough space for merchandise and other useful items. By renting a baler from a waste management company in Atlanta, you can break down your waste into compact bales and free up more space for your business. There are a number of other benefits that come with renting a baler. For one, consolidating your waste can reduce the total number of waste disposal trips you make and help bring down the costs associated with waste. Under some circumstances, you may even be able to turn your recycling efforts into a whole new revenue stream. There are many businesses that can benefit from a baler, including distribution centers, department stores, office complexes, supermarkets, and large restaurants. 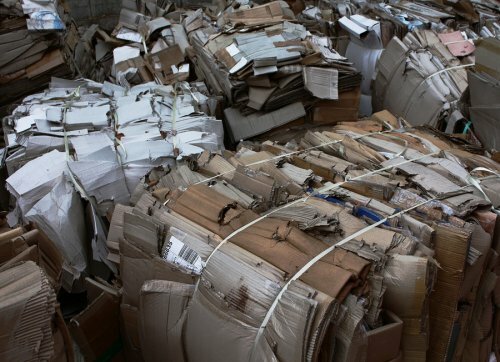 If you have a lot of cardboard or paper that you’re not sure what to do with, talk to a waste management company near you about renting a baler. Glass is one of the most reliably recyclable materials out there. Have you ever wondered how exactly glass is recycled? What happens to your bottles and jars after your Atlanta recycling service picks it up? This video has the answer. After the glass gets picked up from your curb, it’s sent to a local recycling depot, where it gets sorted. Next, the glass goes to a reprocessing company and is crushed into little pieces, or “cullet.” The cullet is combined with silicate (sand), sodium carbonate, and calcium carbonate, then heated to over 1000 degrees to make new glass. Clear glass tends to be remade into food jars, while darker glass is most often recycled into beer and wine bottles. Though this video focuses on recycling in Devon, UK, the same process applies to almost everywhere glass is recycled. With global climate change becoming an ever-clearer reality, it’s important for everyone to do their part. One of the easiest ways to reduce your carbon footprint is to learn more about recycling. If you have any questions about recycling, be sure to watch this video and reach out to a waste management company in Atlanta . This video includes a number of humorous reducing, reusing, and recycling suggestions provided by several YouTube personalities. Instead of throwing your paper into the trash, you can cut it up into small pieces and use it as compost. You might also deposit your empty cans and bottles for money, then use that money to treat yourself to something nice at the end of the month. Each time you go to the grocery store, be sure to take a reusable bag. It’s also a good idea to take a travel mug with you when you go to your favorite coffee shop. School is essential for shaping the minds of the next generation. Like any other productive and important institution, however, schools tend to produce waste. Whether you’re trying to come up with waste management solutions for an elementary school or a university, consider working with a waste management company in Atlanta to address the following considerations. Before you can implement an effective waste management plan, you must first determine how much waste your school generates on average. It might be helpful to keep track of the waste from each department; that way, all the departments in your school can work together to reduce unnecessary waste. Learning to recycle is important for preschoolers and grad students alike. You and your waste management company will find that recycling is a lot easier if the students put their waste in the right bins. As you begin a new partnership with recycling experts, consider teaching your students the basics of recycling. You might even have a designated recycler stand near the bins at lunchtime to make sure waste makes it into the appropriate places. Institutions that generate a considerable amount of waste can benefit from working closely with waste management companies. For example, you could ask your local recycling experts what to do with old desks or obsolete computers. Partnering with a local waste management company in Atlanta is a great way to ensure that your waste needs are met in a responsible manner. Students often need to provide schools with personal information during the admissions process. When the time comes to dispose of that information—usually years after the student has graduated—it’s the school’s responsibility to make sure it is done so in a discreet and responsible manner. Failure to do this could result in embarrassment or even identity theft. When people think about recycling in Atlanta , they often forget to consider electronics recycling. Many different types of commercial, industrial, and retail businesses generate electronics waste when they replace their broken appliances and equipment with new models. 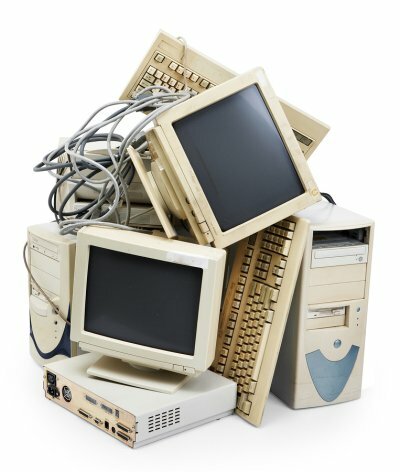 Your local waste management company or recycling center can offer you valuable information and recycling facts about how to dispose of old computers and other electronic devices. When you throw an old computer into a dumpster, it is simply hauled away to a landfill during trash pickup. A computer will not decompose naturally, but it does contain many toxins that are bad for the environment and may seep into the soil in a landfill. Instead, you can arrange for bulky pickup or junk removal of your electronic devices through your waste management company. Some recycling centers reuse or refurbish computer parts, while others may donate working electronics to schools or charitable organizations. 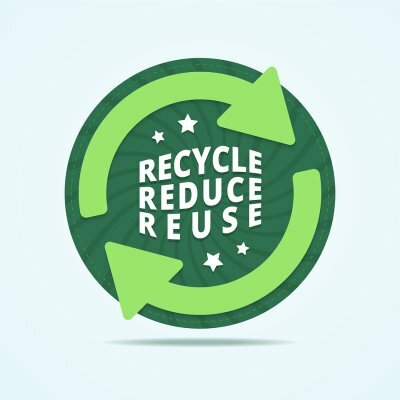 If there is nothing to salvage or reuse in your computer, your recycling center will ensure that it is disposed of according to the federal and local laws. 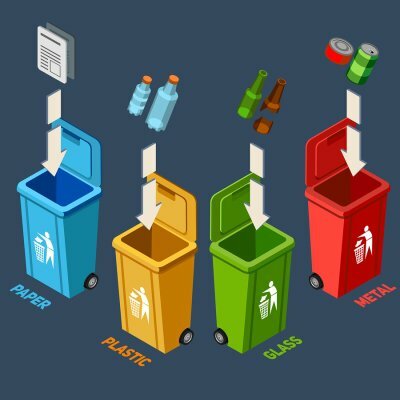 Reputable recycling centers will recycle electronic devices without resorting to using landfills, incinerators, prison labor, or selling it to a developing country. If your company’s recycling program includes scrap metal recycling in Atlanta , you may be interested in learning more about how metal is recycled. Typically, recycling centers can manage metal recycling for copper, steel, aluminum, brass, iron, and metal wires. All recycling centers are different, however, so you should confirm what metal recycling capabilities yours has. Each type of metal is recycled in a different way. Watch this video to learn more about how metal is recycled. Metal recycling can reduce the cost of your company’s waste disposal, improve your business’ environmental practices, and generate valuable, recycled materials rather than causing an increased demand for new products. Recycled metal can be used in the production of cans, cars, boats, metal casts, or ingots.